As a resident in your own country, you don't normally visit local touristy attractions. Except when your name is Jaklien. 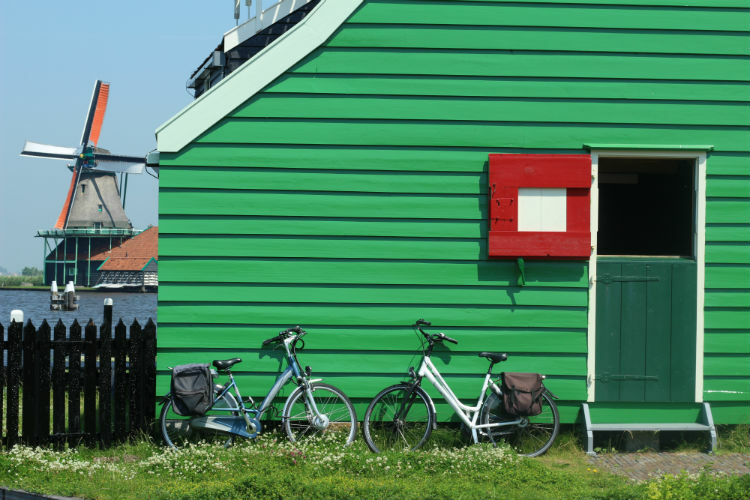 I like exploring my own back yard, but one place was still missing on the list; The windmills at the Zaanse Schans. This weekend, while on a family trip back home, I decided to go. I was staying in Amsterdam and the windmills of the Zaanse Schans are really easy to get to, especially during the summer months. You either take a train to Koog-Zaandijk or a regional bus, both leaving from Amsterdam Central station. I opted for the bus and within 20 minutes I was transported to 17th century Holland. 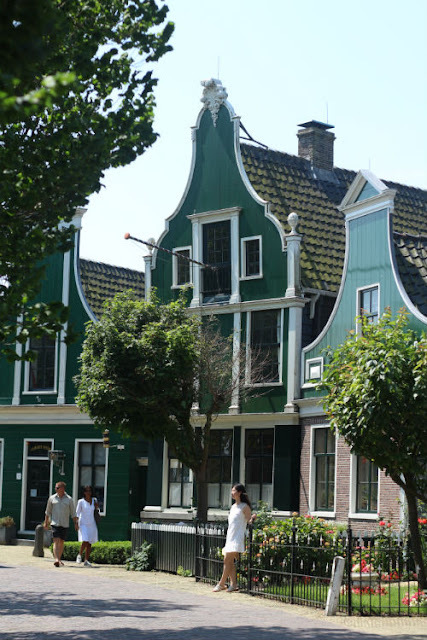 The Zaanse Schans is a neighborhood in Zaandam and consists of a collection of historic houses and windmills from different centuries that were relocated here from all over the Zaan area in the 1960s. It was officially turned into a museum area, however people do actually live and work here. So not quite a Disney park. There are two streets that are lined with the typical 'Zaanse' wooden houses that either function as shops, museums or residences. 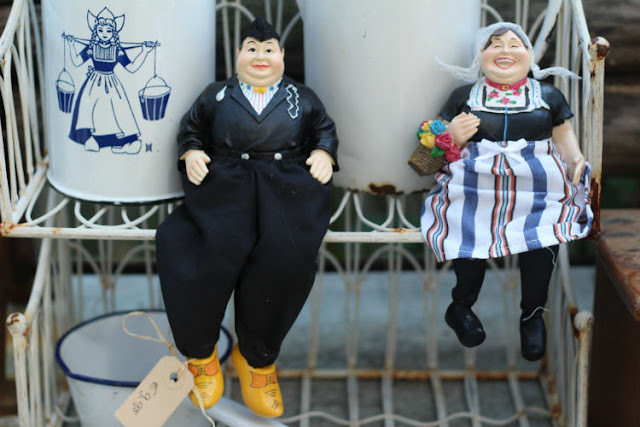 There is a bakery museum, a wooden show museum/workshop, a spice museum, etc. 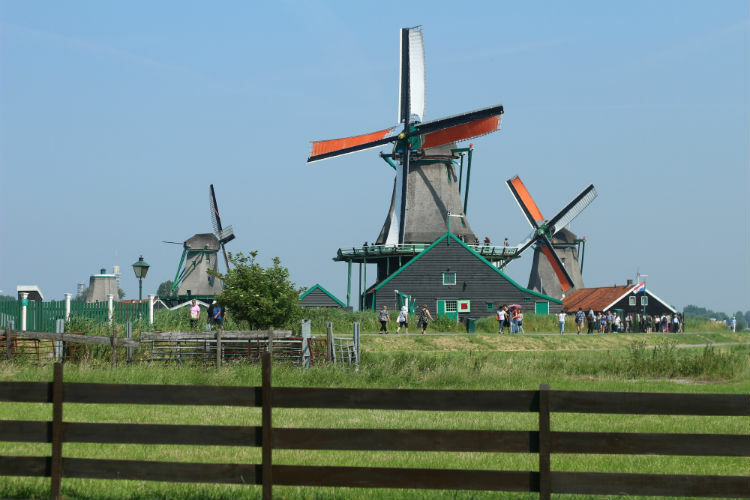 Further along the dike, there are 16 working windmills. Visitors can enter most of them for a small fee to learn about the workings of a miller and see how they work and live. The day I was there it was scorching hot, so when I saw a sign pointing to the jetty saying ''windmill hopper'' I jumped right on it. The cool breeze across the water was a welcome respite from the heat of the beating sunrays and the boatman was also an expert on the topic of windmills. 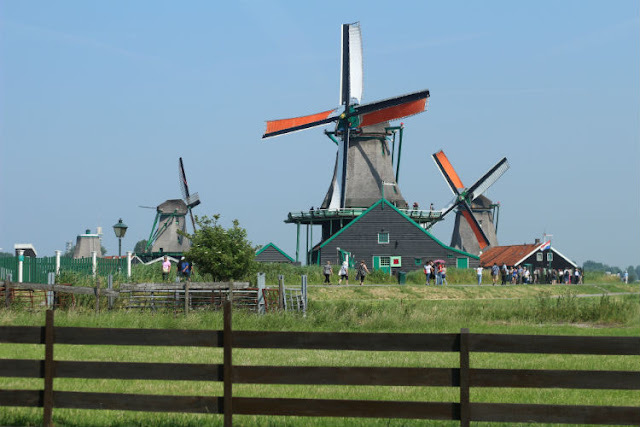 He explained that the windmills in the Zaanse Schans all had different functions; one was producing linseed oil, one peanut oil and another wood chips. 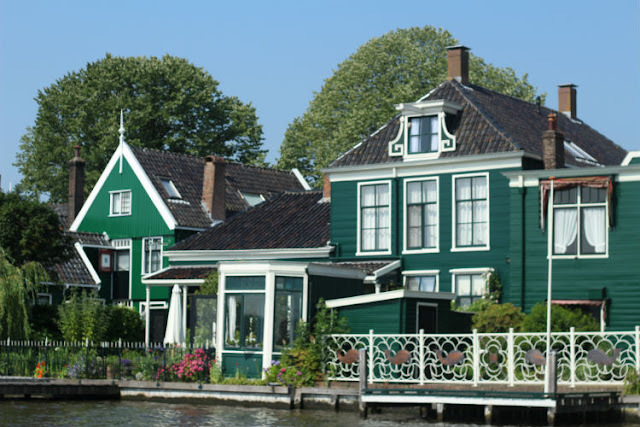 We floated on the other side of the Zaan river and had a look at the picturesque, wooden houses bordering the water. Kids were jumping in trying to stay cool, while others, who looked more comfortable in these balmy temperatures, were soaking up the sun. Back on land, I resorted to a shady terrace on the river side where the refreshing wind had picked up a bit and had a delightful lunch. 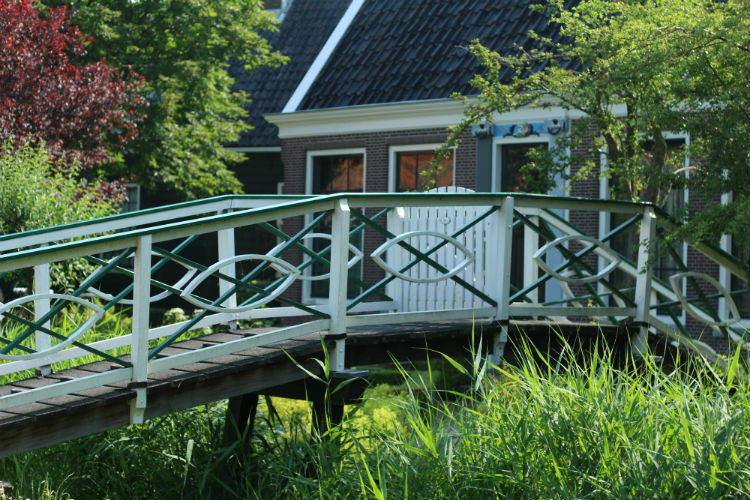 While taking in the view of historic Zaandam and watching the pleasure boats go by I just kept thinking how pretty my country really is. 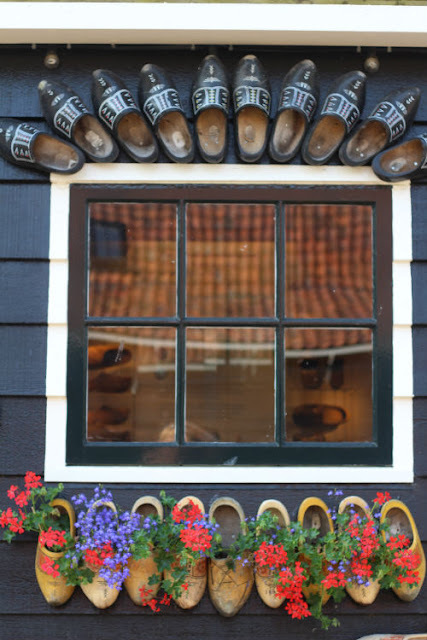 How incredibly picturesque this place is, I love your photos of the clogs and the windmills! Thanks! It was an easy subject though, this cute village. 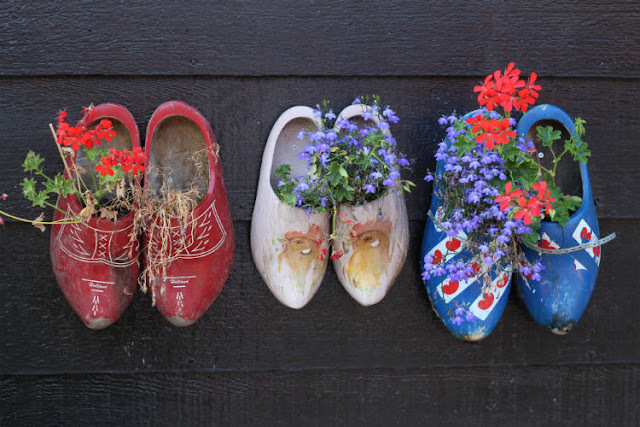 Yes, very very Dutch and lots of pretty views. Being a tourist in your own backyard is so important though!